“By having a youth leader like Audie in my life I have someone I can go always go talk to & he will always give me the right advice, even things that maybe I’m not comfortable talking to my parents. I’ve also seen positive change in my life since being a part of my youth ministry, it gave me a wake up call, I have to be respectful and doing the right things because lying to people will not get you trusted and talking back and not respecting others will just come back to you and you wont get that respect back either. When I was younger I didn’t respect adults & I was more of a follower but now I’ve learned to be more of a leader & to respect others. Because of UYWI Reload events, the leaders in my youth ministry and I have been blessed by being equipped with great resources and teachings to lead our urban youth better! It was through UYWI that I was empowered and trained to see the kingdom of God in my city and how to be a leader of change and influence to the youth and families in my neighborhood. I went to all the conferences since 2002, I was a part of a Learning Community in 2006, I attend RELOAD and take youth to those trainings, and I’ve signed up to be part of The WELL this year. As I mature in my faith, I understand that my approach to youth ministry has to evolve as well, and this is why I stay connected to UYWI. The networking and fellowship I have found has enriched and refreshed me, and has been an encouragement to continue in the work God has given me to do. I graduated seminary and became a full time youth pastor shortly after. My first day at work I had to counsel two young men who had dropped out of school and were in trouble with the law—they do not teach you this part of ministry in seminary. I was introduced to UYWI, and it was truly God’s plan that I connect with such a wonderful organization. UYWI has provided me with such excellent resources and a brotherhood without which I may have burned out before I finished one full year of youth ministry. As an emerging urban youth worker trying to figure out ‘how to make it,’UYWI gave me hope – as it does to so many – in realizing that I was not alone in my endeavors. UYWI offered me instruction and leadership in how to effectively reach inner city youth. UYWI has continued to inspire, connect, and guide me towards effective transformational ministry as we pursue what it means to raise a new generation of urban youth who follow Jesus. The training that UYWI offers is a valuable resource for sharing and learning with like-minded individuals whose focus is helping young people discover their destiny. UYWI teaches leaders to be continuously aware of what’s going on around the world when it comes to young people and it challenges them with new ways to reach them. They show leaders how to help their students respond to the Gospel in a social media world. 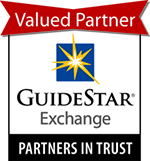 Urban Youth Workers Institute has earned a GuideStar Exchange Seal, a leading symbol of transparency and accountability provided by GuideStar USA, Inc.